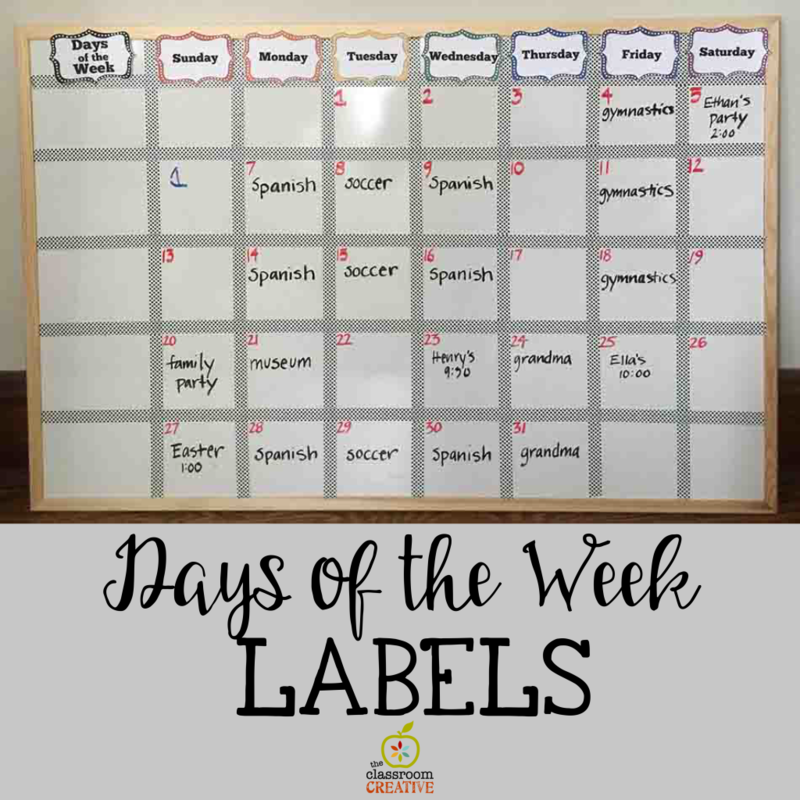 Days of the week labels are essential for classroom organization. Check out how we use these labels on bins and bulletin boards. Our days of the week labels help visual learners because they are color coded. Color-coding adds other visual cue for easy organization. 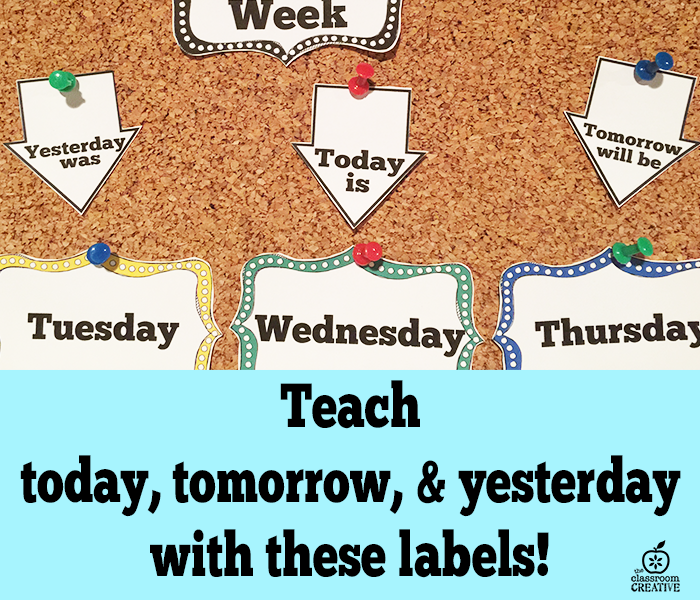 Use our labels in your classroom to stay organized! 1.) 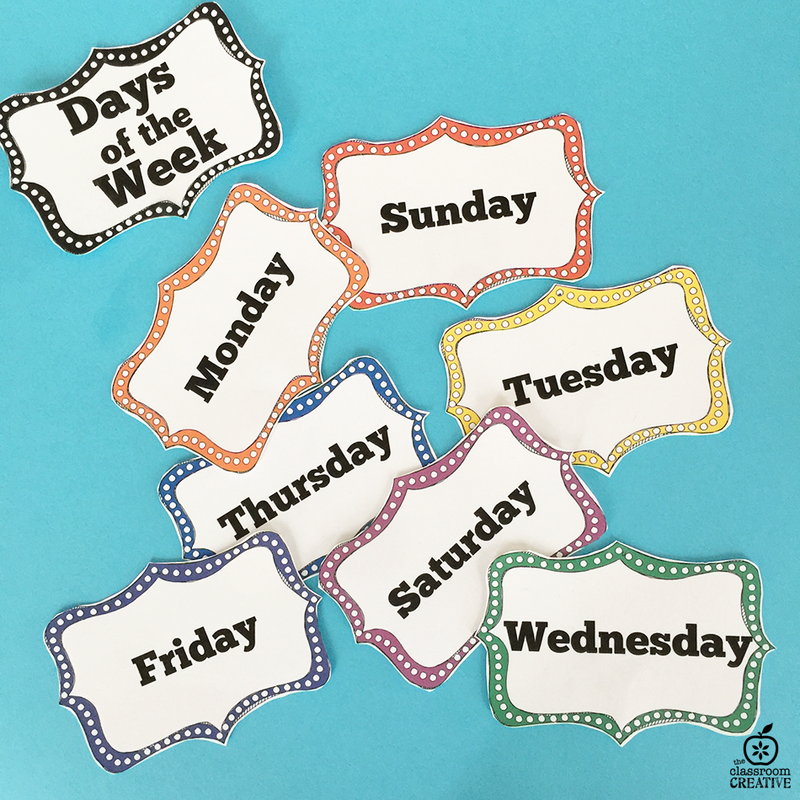 These days of the week labels are perfect calendar cards. This set also includes arrows for yesterday was, today is, and tomorrow will be. This is a great system for primary grades and special ed. 2. Create a system for all your weekly copies with this weekly bin system. This system would also make a great homework station or absent work station. . 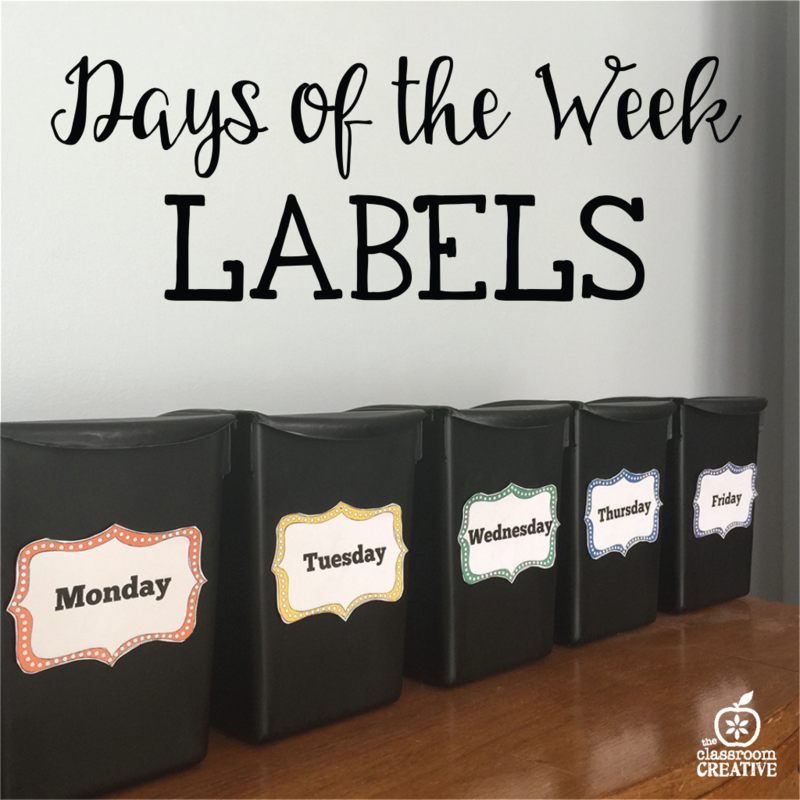 Either way, these days of the week labels are perfect for labeling bins! 3. 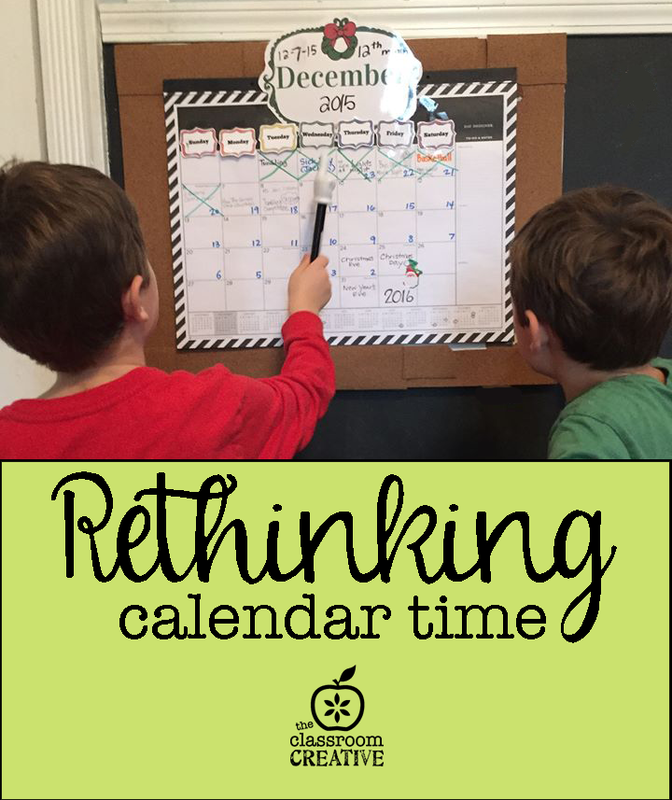 At home, I created a calendar with our days of the week labels to keep my kids’ schedules straight. They know what is planned for the day and so do I! 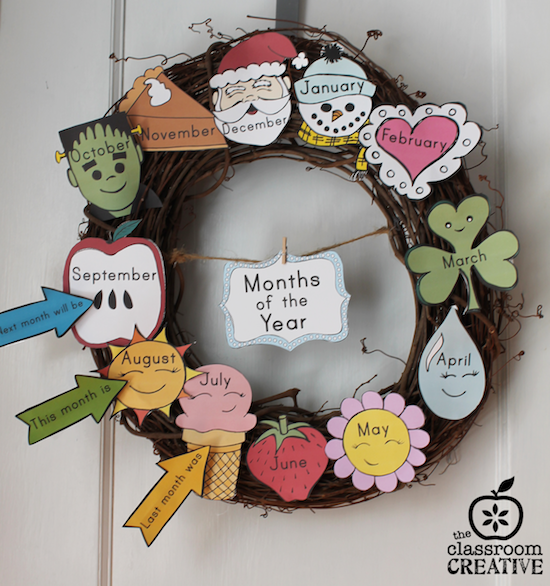 I like to attach our cute Month of the year labels to my calendar too!